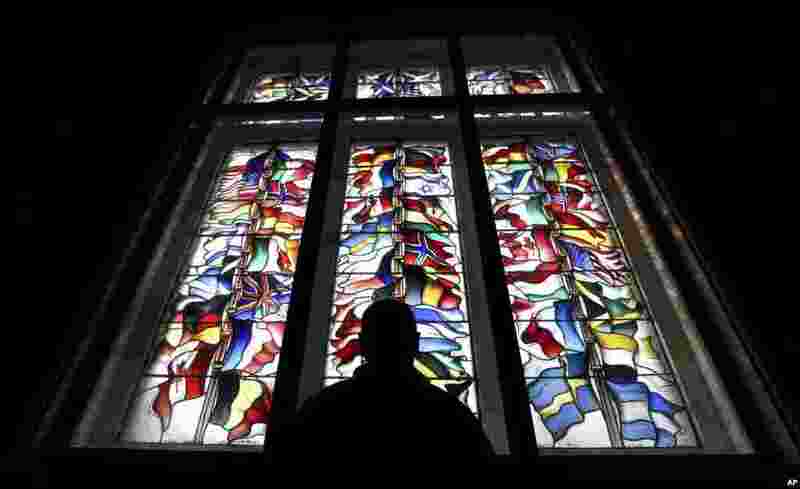 1 Mark Kirkpatrick, caretaker for Lockerbie Townhall, is seen looking at the stained glass window tribute to the victims of Pan Am flight 103 bombing, Lockerbie, Scotland. 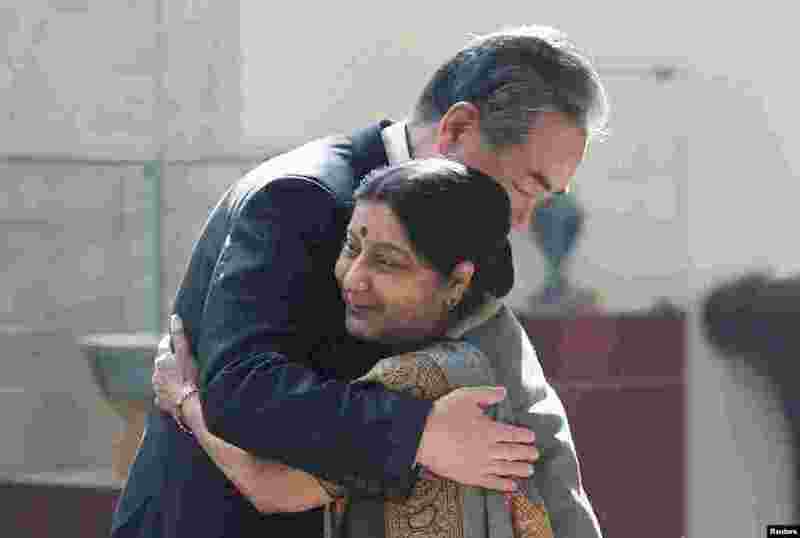 2 Chinese Foreign Minister Wang Yi (L) hugs his Indian counterpart Sushma Swaraj before the start of their meeting in New Delhi, India. 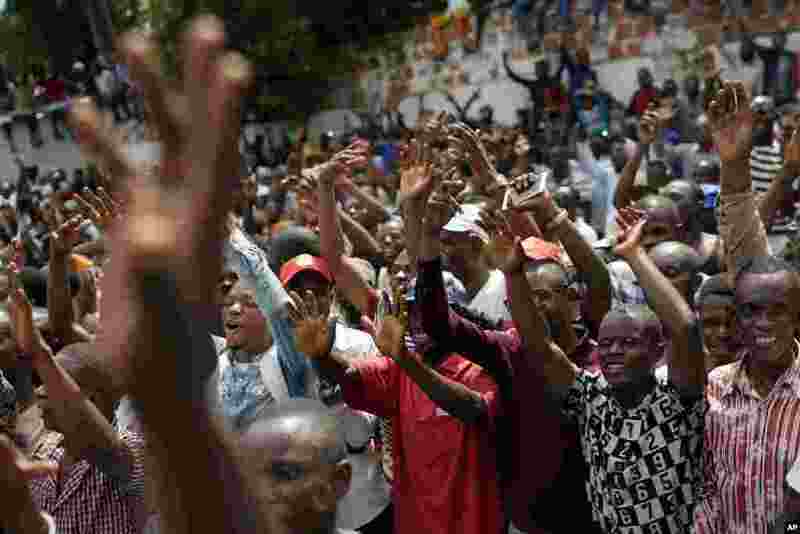 3 Supporters of opposition presidential candidate Felix Tshisekedi cheer him at the UDPS party headquarters in Kinshasa, in the Democratic Republic of Congo. 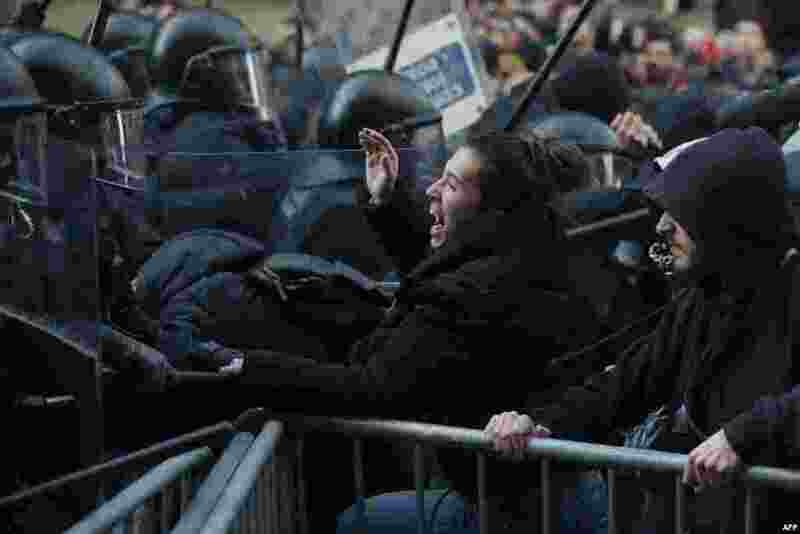 4 Members of the Catalan regional police force Mossos d'Esquadra try to keep protesters behind crowd control barricades during scuffles at a Catalan pro-independence demonstration in Barcelona as the Spanish cabinet held a meeting in the city.